Calgary's Woodpigeon (aka Mark Andrew Hamilton) has a busy year lined-up. 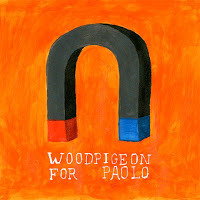 He's got two full length albums ready to go, but he kicks it all off on January 24th with the release of the EP For Paolo. The title track is beautiful, melodic, and mellow. That makes the bookend cut, "For Paolo (Acoustic)" even more remarkable since a tweak in the presentation makes for an entirely new vibe, this one eerie. The songs can be hard to penetrate from time-to-time however. With a song like "By Lamplight" it feels as though the nooks and crannies have been plastered over, making it hard to get a grip as a listener. There's no such trouble on "One To Many" however. The track conveys and urgency and desperation that set it starkly apart from the rest of the record. Ultimately, the new EP highlights Woodpigeon's strengths, which are meticulously-constructed lush folk-based songs. 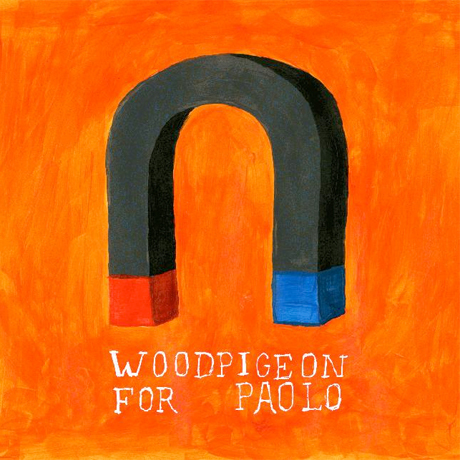 Fans of Iron & Wine would be well advised to keep their ears open for each of these Woodpigeon releases. Best tracks: "For Paolo", "One To Many"
Really i love that album of the great singer!